Scooters are non-motorized push bikes making this Eco-friendly. The scooters are propelled by gravity and our vehicle takes you to the top of the runs.These Swiss-designed push bikes originate in the Alps where they are used during the summer season on the ski slopes when the snow is gone. Trips depart from the Jonkershoek Nature Reserve Parking area. Scootours is the perfect choice for travelers who would like to experience Stellenbosch as well as families and corporates who are looking for a fun adventure to share. Scootours is also a great choice for school kids birthday parties! 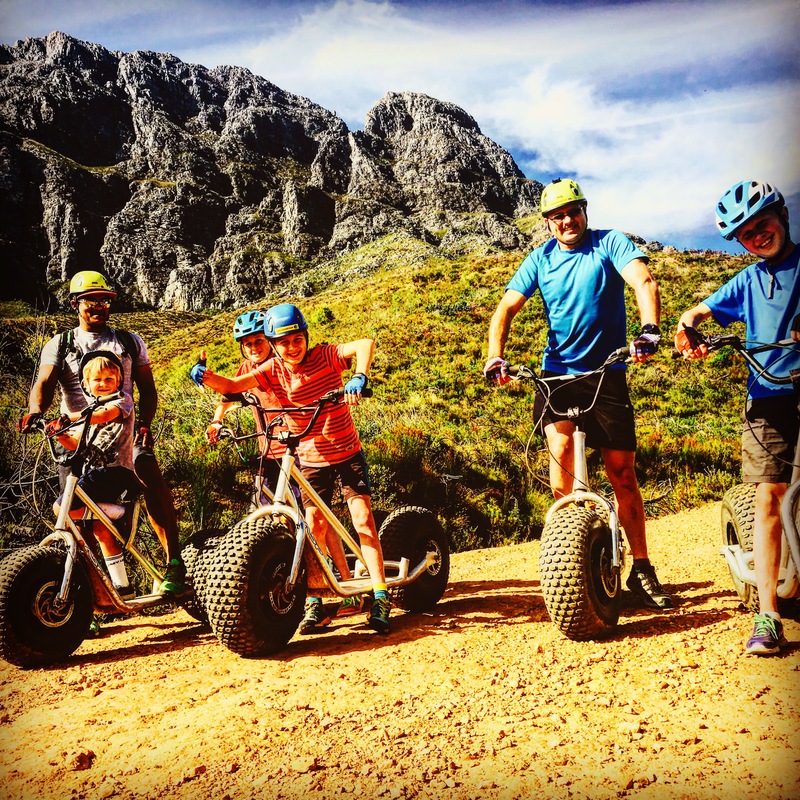 Scootours are now also offered in Franschhoek and on Table Mountain!